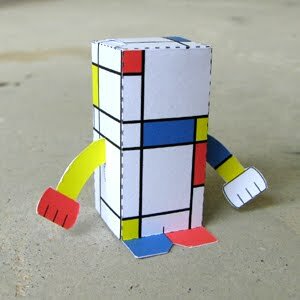 Piet Mondrian was a Dutch painter. He was an important contributor to the De Stijl art movement and group, which was founded by Theo van Doesburg. He evolved a non-representational form which he termed Neo-Plasticism. This consisted of white ground, upon which was painted a grid of vertical and horizontal black lines and the three primary colours. 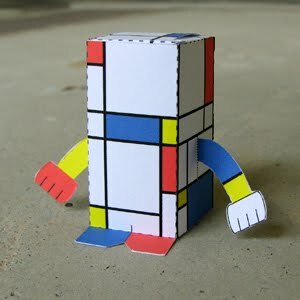 Download the PDF file here and make your own Mondrian toy! Pollock, Matisse, Malevich? Find out who's next in the Artist's series on our Facebook page!